The magazine looks like "The Motorcycle World" by Phil Schilling so I guess that the SS is one of the two that were purchased by Phil and Cook Neilsen. From what I remember reading Phil still has his in original condition. 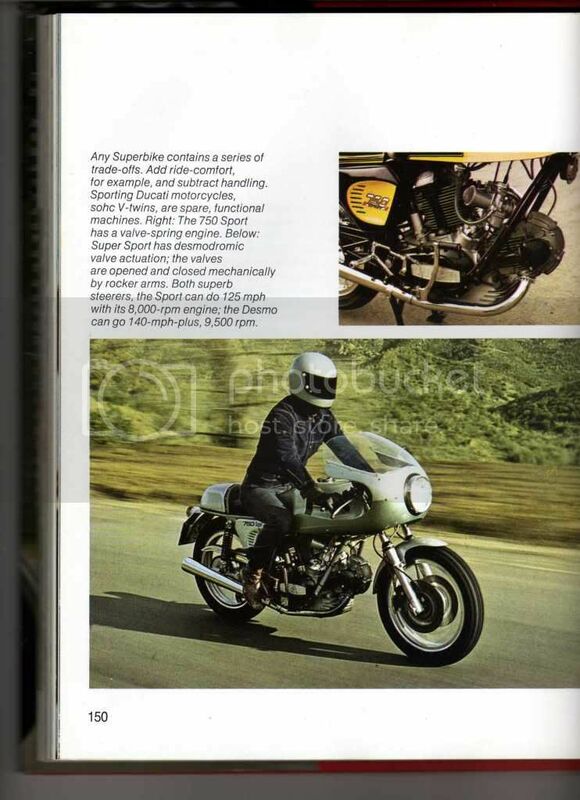 Ian Falloon mentions in his Ducati 750 Bible that a few "pre-production" SSs (3-10?) were made from 1973 Sports and shared the black engine cases and electronic tachometer with them like the one shown in the image. One of these pre-production SSs went to Phil Schilling and was to become the "California Hot Rod". Another one made its way to Australia and has been featured in at least one magazine article ("Italian Motorcycles", No.9) and in Phil Aynsley's beautiful book, "Ducati - A photographic tribute". It is included in the round case listing on this site. The bike you are talking about is owned by a friend of mine north of Sydney. It differs from the greenframe in a number of ways including the black cases and I believe different forks. Bit of a story how he obtained it and how it got to Oz but I don't remember if the story in the Italian Bikes 9 covered it. Could be wrong. Still, it is a beautiful bike and worth a bit plus gets ridden regularly. Another mate of mine has a greenie he bought brand new and still rides.